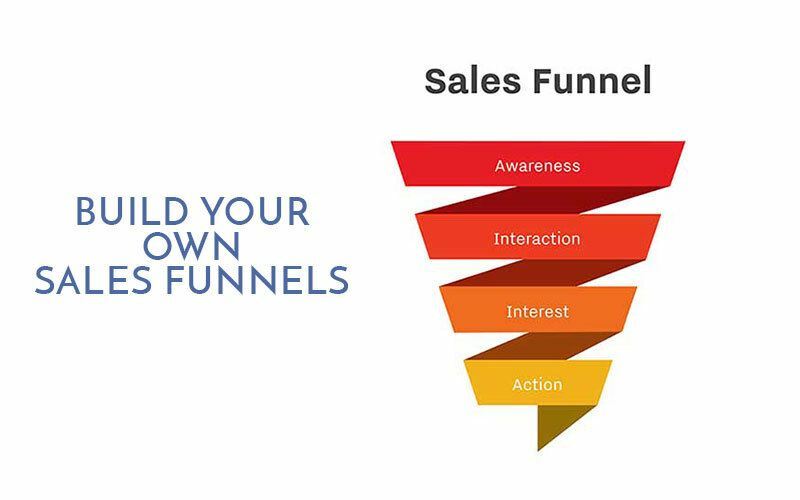 A sales funnel has four stages: awareness, interest, decision, and action. By taking your visitors through these phases it helps a business to convert their leads into paying customers. The first step in the sales process is figuring out which product you want to sell. The most successful product is like a painkiller – it solves an immediate need (a huge problem) for your audience. Now identify a smaller problem along the way that can be solved in 5 minutes. Create an opt-in (lead magnet) and give it away in exchange for an email address. Your lead generation efforts won’t be enough on their own if you fail to engage your audience. Your follow-up series should engage your customers by giving value, prime them for the sale, then offer the product. Once you have it all set up, you need to get eyes on your opt-in offer. If people are not aware of the products you sell, there will be no sale. Therefore, you need to adopt different strategies to drive users to your website. Then fine tune the funnel based on the responses. Simply watch conversions and email open rates, take the ones that underperform, improve them. This is how you convert your visitors to buy your product.